The Real Estate Settlement Procedures Act (RESPA) is a federal law that is meant to help consumers shop for appropriate settlement services in connection with real estate purchases. RESPA requires lenders and servicers of home loans to give borrowers appropriate disclosures about the costs and nature of the real estate settlement process. It also prohibits certain practices and limits the use of escrow. If you have questions about the Real Estate Settlement Procedures Act (RESPA) in connection with your home loan, the Boston real estate attorneys at Pulgini & Norton may be able to help you. Under RESPA, borrowers are supposed to receive relevant disclosures about the real estate settlement process. Real estate settlement is also known as closing, and it refers to the period when property title is transferred to a buyer, along with the deed. RESPA ensures that the buyer is protected from abusive practices that inflate the costs of settlement. The law applies to closings that use first-lien federally related loans. Generally, these loans include most mortgages for homes consisting of 1-4 units. Under RESPA, the lender is prevented from asking for excessive escrow deposits. Most lenders require escrow accounts to pay for future real estate taxes and premiums. The law also prevents lenders from receiving kickbacks for directing buyers to other particular lenders or services. When a brokerage has a controlled business arrangement that permits it to offer home-buying services for home inspections, title insurance, or moving, it must disclose these relationships. It should also offer computerized loan origination services to allow you to easily shop for your loan. RESPA requires your broker to let you know that you can shop for all of these services in other places. Within three days of your applying for your loan, RESPA requires a lender to send you a special HUD settlement cost information booklet. This will advise you of the closing and its costs. You are also supposed to get a good-faith estimate of what the closing is going to cost and a determination about whether a particular escrow agent is going to close. You are entitled to review a completed HUD-1 Form at least one business day before the closing day. This form will itemize the charges that the seller or you paid at the closing. Your lender must also provide a mortgage servicing disclosure statement. This will include information that you need to resolve a complaint that you may have about your lender. The lender is supposed to let you know whether the loan will be on its books or be transferred to a mortgage servicing company. RESPA requires you to be given timely, important information about your closing costs. 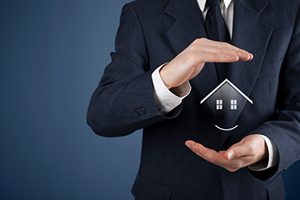 There are several major consumer protections involved so that you can be knowledgeable about your loan. For many people, a home loan is the biggest loan that they will ever take out. At Pulgini & Norton, our Boston real estate lawyers can help you with any questions that you may have about the Real Estate Settlement Procedures Act and your loan. We can handle property transactions in Andover, Quincy, Malden, and other cities in Massachusetts. Call us at 781-843-2200 or contact us via our online form for a consultation with a home financing attorney.